So You’ve Been Publicly Shamed (2015) looks into the terrifying nature of online public shaming. 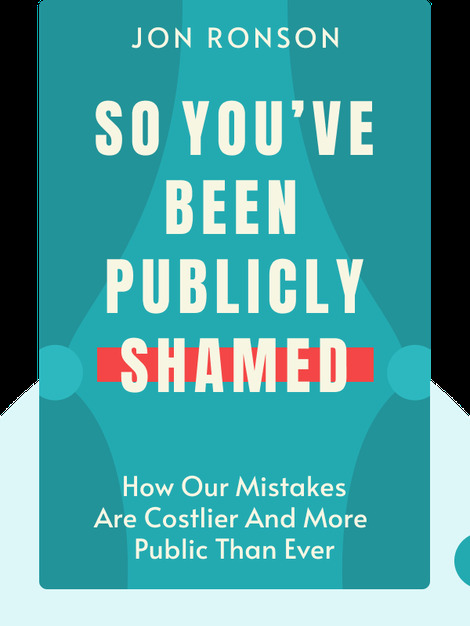 Tracing it back to its historical roots, the book details the motivations behind modern public shaming and offers tips on what to do if you find yourself at the center of a public shaming scandal. 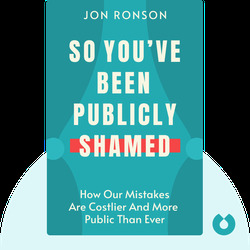 Jon Ronson is an award-winning author, journalist and documentary maker who has contributed to The Guardian, Time Out Magazine, BBC Television and Channel 4. He has written nine books, including the best-selling novel The Men Who Stare at Goats.